Marion County School District in South Carolina will host its annual Teacher Recruitment Fair on Saturday, March 4 from 11:00 AM – 12:30 PM. You may pre-register by completing a Job Fair Quick Form located here. Marion County, South Carolina is located in the northeastern portion of South Carolina. We are approximately 1 hour from Myrtle Beach and approximately 2 hours from Charleston and Columbia, SC and Wilmington, NC. We have just under 5,000 students and all of our schools are Title I and qualify for student loan forgiveness for several loans. Please check our website frequently as all vacancies are posted once they become available. We look forward to meeting you at our career fair and to reviewing your application. All undergraduate students, graduate students, faculty, and practitioners in the field of education are invited to submit a proposal to the second annual University of Florida College of Education Student Research Symposium sponsored by the Education College Council (ECC) and Student Alliance of Graduates in Education (SAGE). Our theme, Strengthening Dialogue through Diverse Perspectives, is meant to further the dialogue we fostered last year. The symposium intends to facilitate cross-disciplinary communication and, to that end, we hope this annual event draws interest across the college. Like last year, we understand the term “research” broadly and welcome submissions of original social science research, historical inquiry, practitioner inquiry, and other research projects that further our knowledge and understanding of education in a variety of settings, both formal and informal. Faculty members who have worked with undergraduate and graduate students and intern/mentor teacher pairs who have engaged in practitioner inquiry are especially encouraged to submit abstracts. 250-word abstracts may be submitted for presentation as roundtable discussions or poster presentations. LeadUF is a foundational leadership retreat where students will learn about, reflect on and develop their personal leadership framework. LeadUF is based on the understanding that leadership is a life-long journey developed by our experiences and engagement in the community and world. The weekend incorporates large group activities, small group discussions, reflection, outdoor experiences, time to connect with other leaders and lots of FUN in a beautiful location. LeadUF is designed to accommodate different learning styles during the overnight, off-campus retreat to provide participants with skills to make positive change. Visit the LeadUF website for more information. The purpose of this research is to explore how various high impact practices affect an individual’s self-esteem, self-efficacy, motivation, and intention to make a difference. High impact practices include participation in activities such as internship/practicum, undergraduate research, study abroad, service-learning, and volunteering during college. Click here for the survey. Ends Friday, March 3rd. Don’t miss the third national summit on best practices in promoting and sustaining wellness in academic settings! The National Consortium for Building Healthy Academic Communities (BHAC) welcomes transdisciplinary leaders, faculty, students and staff from academic institutions of all sizes, as well as policy makers from professional organizations and academia who are committed to improving health and wellness outcomes in institutions of higher learning and their surrounding communities. Visit the 2017 Summit website to learn more and register to attend today! If you’re looking to land an internship for the fall semester, consider the Bob Graham Center’s Virtual Internship Program (VIP). VIP offers students the ability to intern while fulfilling academic, job, or extracurricular responsibilities. Virtual interns work on project-based assignments including fundraising, database management, social media, e-communications, web management, writing, market research, reporting and creating presentation materials. Past interns have been placed with organizations including; Justice Sandra Day O’Connor’s nonprofit iCivics; the Tallahassee-based advocacy organization Who We Play For; and Caldwell Strategic Consulting in Washington, D.C. For more information, contact Kevin Baron at kbaron76@ufl.edu or 352-846-1575. The Child Advocacy Center is seeking a highly responsible professional Master’s level licensed or license-eligible contract therapist to provide counseling for abused and traumatized children. A therapist at the CAC must be able to provide assessments, treatment plans, individual, group and family therapy, maintain appropriate documentation, participate as a multidisciplinary team member and provide trauma sensitive services to child victims and adult survivors of abuse, neglect and human trafficking. This is a contractual position subject to continued availability of grant funding. Spanish speaking therapist would be a benefit. Send cover letter and resume to admin@cacgainesville.org. No phone calls please. The Child Advocacy Center is an equal opportunity employer and provider. Drug free workplace. The Harn Museum of Art is taking applications for summer interns. Applications due March 15. Harn internships are to all majors with the goal of providing professional experience, growth opportunities and guidance from museum staff. Interns have gone on to careers ranging from history to education at institutions such as the Guggenheim, Christie’s Auction House, LACMA, Macy’s and Yale University. Internships are available on an ongoing basis with fall, spring and summer application deadlines and selection periods. Interested candidates can find instructions, application form and all project descriptions on our website at www.harn.ufl.edu/intern. Summer application deadline is March 15, 2017. For questions contact Layne, Education Program Assistant, at 352.392.9826 x2112 or laynetb@harn.ufl.edu. Baby Gator needs summer camp counselors! Staying in Gainesville for the Summer? Interested in working with children? Baby Gator Child Development and Research Center at the University of Florida is looking for passionate and energetic counselors for our summer camp program. 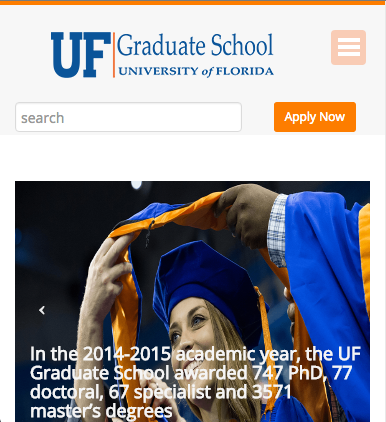 Position available for an advanced undergraduate or graduate student to assist with project activities for a project supporting three State of Florida Early Steps model demonstration sites to implement their Demonstration Site Implementation Plan. 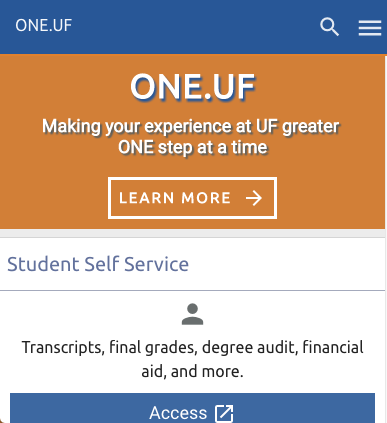 This student would assist the UF Project Coordinator with preparing materials for professional development and coach training, adapting online materials, and preparing fidelity and outcome evaluation materials. The position is an hourly position that is available immediately through the summer A semester, with the possible opportunity to continue the work through next year. A minimum of 15 up to 20 hours per week is preferred. Students will be paid $12-$15/hour, depending on experience. The position includes a brief orientation and training and ongoing supervision by a project coordinator. This is an excellent opportunity for students who are interested in professional development, coaching, or instructional approaches in early intervention for children from birth to age 3 and would like to gain experience in research. If interested, please email a brief statement describing your interest, the number of hours you are available, and a resume to Dr. Cinda Clark, Postdoctoral Associate, Anita Zucker Center for Excellence in Early Childhood Studies, cindaclark@coe.ufl.edu. The Muscular Dystrophy Association (MDA) is looking for volunteer counselors, over the age of 18, to attend MDA Summer Camp at Camp Suwannee in Live Oak, Florida from June 11-17. It is an overnight camp where the volunteer will be responsible for one camper, provide the personal care they require, and be their buddy through a fun filled week. MDA Camp is a great opportunity for students studying in the medical/applied science/education field to get experience working with children with disabilities who have a wide range of needs. More information available here. This is a full-time, 1 Spend your summer working with youth aged 8-18 in the Florida 4-H Camping Program. Teach classes, facilitate programs, and lead activities at one of our 4-H Camp Facilities. See website and flyer for additional details. This is a full-time, 10-month instructional position that reports to the K-12 Principal of P.K. Yonge Developmental Research School. The ideal candidate would have experience teaching high school Chemistry, Chemistry Honors, and/or AP Chemistry. Recent training in educational technology and/or experience as an online learner is also preferred as P.K. Yonge instructors are expected to leverage technology to support student learning and to facilitate collaboration and communication. Further details are available on the P.K. Yonge Employment website. A complete position description and application are available here. Glen Springs Elementary School will be having our annual school carnival on Friday, March 17th from 4:00-7:00pm. We are looking for volunteers to help us run the booths so parents will be available to be with their children at the carnival. 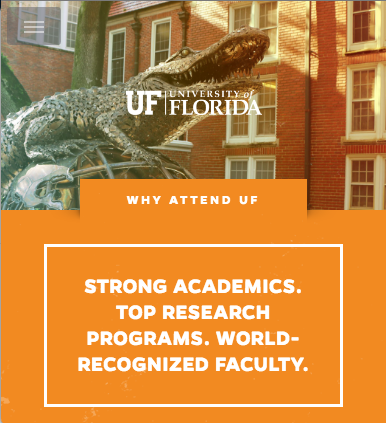 The parents, faculty, and students have commented for several years of how thankful we are for the UF volunteers, and how essential you are to the success of the carnival. 100% of the proceeds go to support the school. Please contact Rachel Prater, Glen Springs Carnival Committee at gatormommy3@hotmail.com if you are interested in volunteering at our event. • Have at least 3 yrs of experience caring for children b/w ages of 0-8 yrs. Can begin immediately. Candidates with early childhood education background preferred. If interested, please send resume and 3 professional references (references from family members will not be accepted) to helenapmawdsley@gmail.com. Compensation will commensurate with experience and work load. All candidates will be subject to background and driving record check. 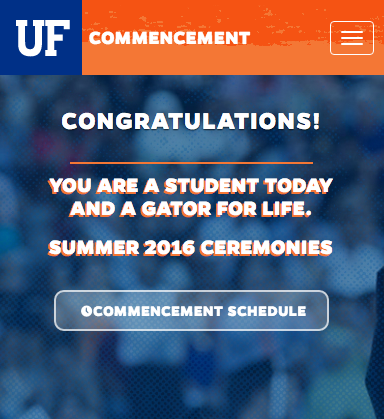 I am a UF graduate student who is looking for an SAT prep coach for my 16 year old son. He is an 11th grader at Buchholz High School. He took the SAT once. If interested, please contact Rosanna Kingston at 352-217-0800.